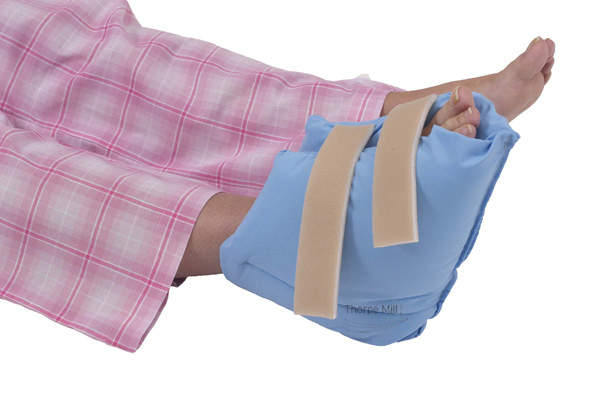 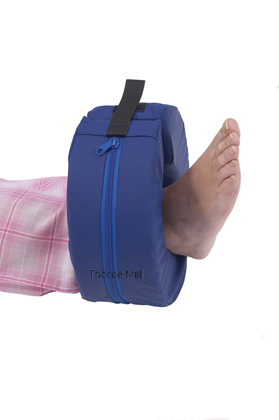 Padded Heel Protectors with a ‘cooling’ aperture for aeration & gives complete elevation from bed surface, available in either cotton or wipe clean material. 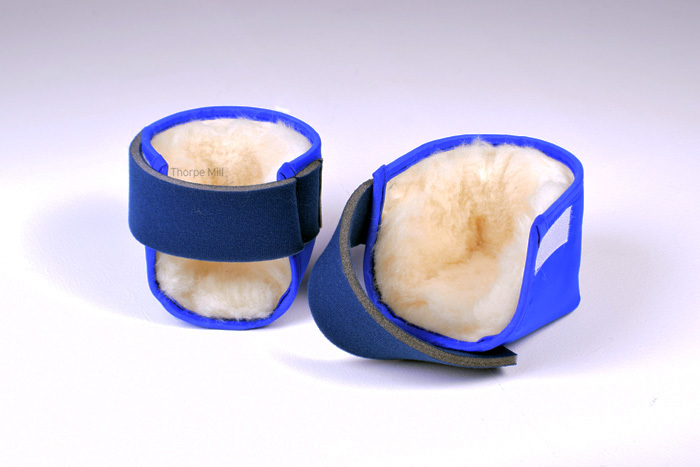 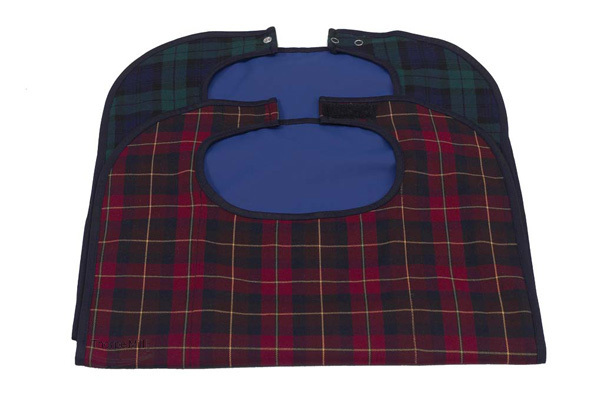 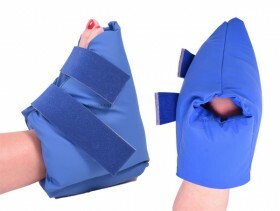 Palm Protector with Fleece Lining (individual) – To help prevent patients digging their nails into the palms. 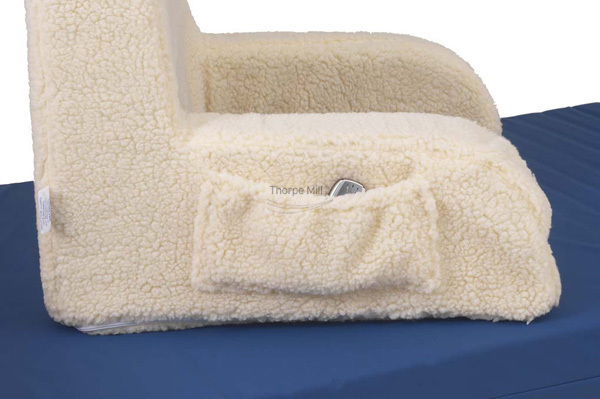 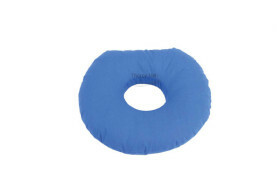 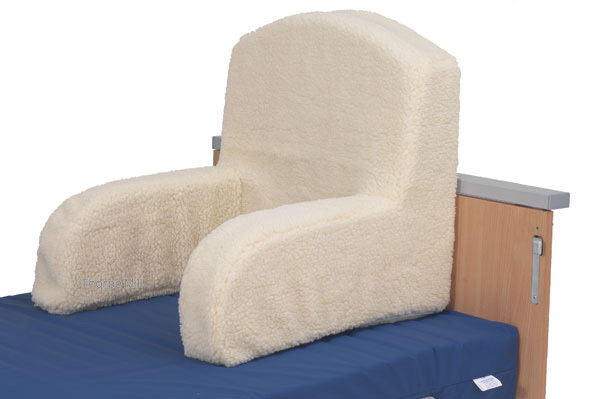 Made of high density closed cell foam with fleece to the inner layer. 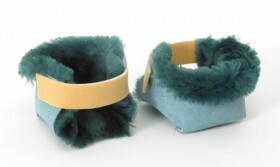 Hook & loop on the back to hold in position. promote healing with no pressure at all! 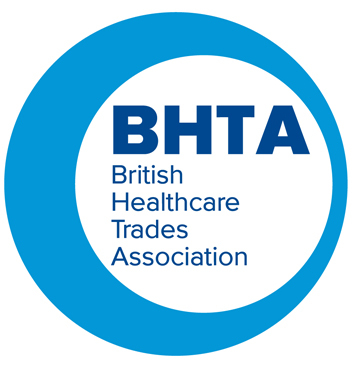 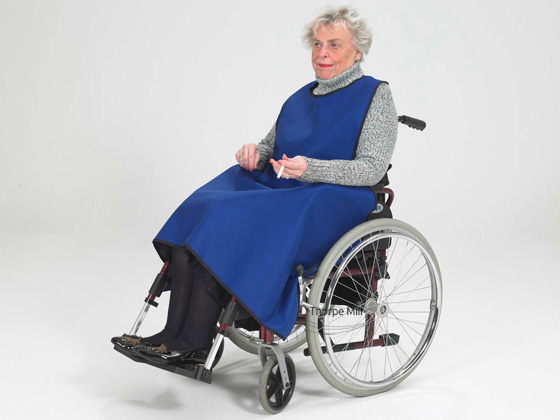 Available with wipe clean vapour permeable cover or without cover for patient use. 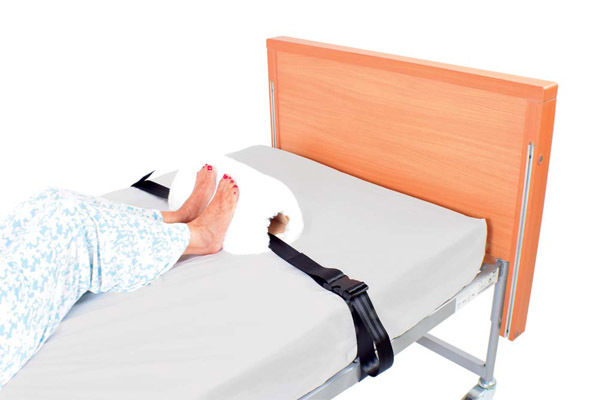 To prevent user from slipping down the bed. Covered in simulated sheepskin. 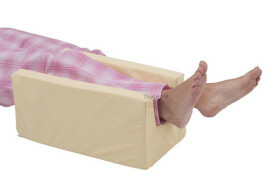 Available for divan beds or metal frame beds, easy and quick to fit any size of bed. 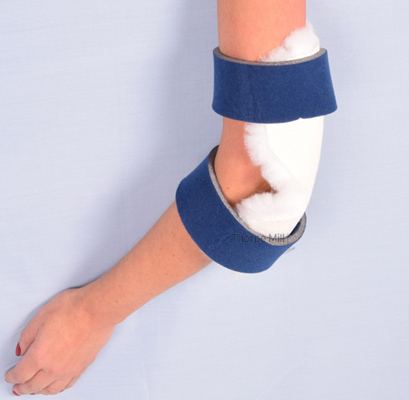 100% Hospital quality deep pile polyester elbow protector for comfort and ease of washing and drying – suitable for hospital laundries. 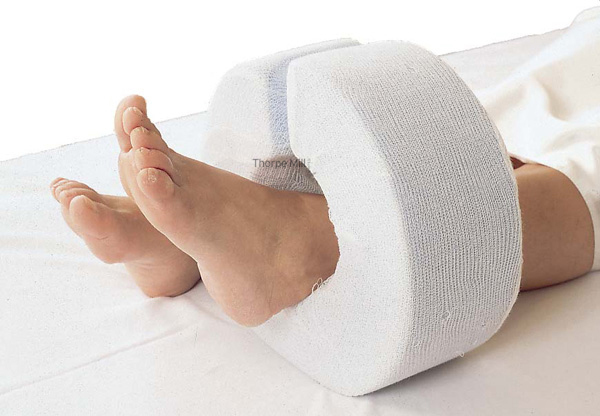 100% Hospital quality deep pile polyester heel protector for comfort and ease of washing and drying – suitable for hospital laundries. 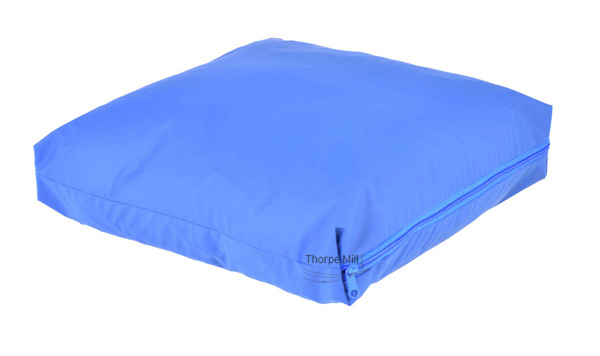 Hollow Fibre Filled Cushions with various cover options.